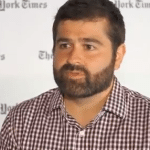 We recently had a chance to interview Indiegogo CEO and co-founder Slava Rubin. 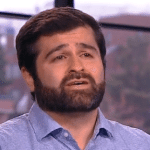 We asked him about the SEC’s recently-proposed crowdfunding rules, how they may affect Indiegogo’s propensity to enter the equity space in the future and where Rubin and his team sees their platform in the future. 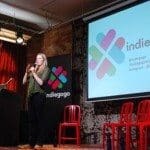 Crowdfund Insider: When Indiegogo launched, was equity crowdfunding even on the national radar? How involved were you or your fellow co-founders in the run-up to the JOBS Act? When we came up with the idea for Indiegogo in 2006, before the word crowdfunding even existed, we wanted to allow for equity investments right away. After some research we learned that wasn’t possible yet. So we went on to pioneer the perks-based model that has grown into the billion dollar industry it is today. Then in 2010, there was a campaign on Indiegogo to change the law to allow equity crowdfunding — and things moved pretty quickly from there. Indiegogo has been a strong proponent of equity crowdfunding and was an active leader on the front lines of the passage of the JOBS Act in 2012. We even had a campaigner on stage next to President Obama when he signed the JOBS Act into law and we were thrilled the White House invited all three of our founders to attend as well. 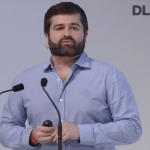 Is Indiegogo going to be an equity crowdfunding platform in the future? We certainly expect that equity crowdfunding has the chance to be a major part of our business. That said, we have a terrific and rapidly growing business at Indiegogo without equity. One thing that is important to note is that since equity crowdfunding hit the national agenda two years ago, Indiegogo’s transaction volume has increased by ten-fold. So the good news is that people who want to use crowdfunding as a tool don’t need to wait for equity crowdfunding. In the future, we believe Indiegogo will be an entry point that banks or VC’s use as a part of their vetting process and we’re seeing this on a micro level already. 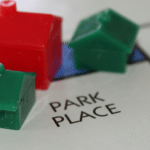 Contributors are proving (or disproving) market interest before a product goes to market. This gives time for an entrepreneur to make tweaks or kill a product altogether. Is there anything in the SEC proposed rules that makes it more or less likely that Indiegogo will incorporate equity into its platform in the future? It’s impossible to say for sure until we know the final rules and regulations. It’s a multi-step process. We’re now in the feedback and comments period and a lot our final decision will depend on the intricate details. It’s going to be important that the SEC balance its regulatory responsibility with providing crowdfunding platforms the needed flexibility for implementation of equity crowdfunding. On a personal level, what was your overall sense of the proposed rules? Did anything stand out as too onerous or in need of further clarification from the SEC? Do you think the SEC is on the right track? The way the rules are being written shows that the SEC is embracing the collaborative ethos of crowdfunding. The suggested rules strike a good balance– at least within the limits imposed by the law itself– between offering clear protective restraints, and also empowering platforms to experiment with innovating towards the best and safest online crowd investing experience. If there is one thing they could do to empower businesses to use equity crowdfunding, it would be to take away the requirement for businesses that want to raise more than $500,000 through equity crowdfunding to submit a formal audit of their financials. 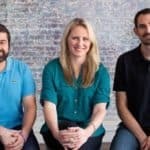 If Indiegogo were to add an equity play to its roster of offerings, can you provide any insight into how that would look? Would they be separated from your rewards-based offerings or integrated? It’s far too early to tell. We are actively involved with the SEC and other key stakeholders, but will need to learn more before making any firm decisions on how we might implement equity. We will continue to lean forward while also listening to what our customers need, so when the final decisions are made we are ready to proceed in a smart, productive way. One thing that’s certain is that our current non-equity model for crowdfunding will remain vibrant and active regardless of what we decide on equity crowdfunding. What are your hopes for Indiegogo five or ten years down the line? The platform has already accomplished so much, but where do you see growth? Crowdfunding is the piece that makes every other piece stronger as it serves as an incubation platform for traditional financiers, whether its VCs, banks or foundations who fund entrepreneurs, small businesses and non-profit/community projects, respectively. We’re also committed to continuing to expand the platform’s capabilities internationally, so while we’re already available in almost every country we want to go into each space and make sure our product is culturally accessible with languages, currencies payments, etc. 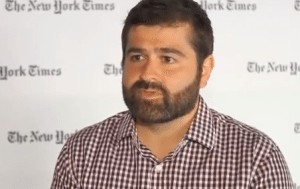 This entry was posted in Investment Platforms and Marketplaces and tagged banks, equity, indiegogo, interviews, pretail, proposed rules, sec, slava rubin, vcs, venture capital. Bookmark the permalink.